On November 7, Jason Saulnier of the MusicLegends.ca web site conducted an interview with Ian Gillan. You can now listen to the 20 minute chat in the YouTube clip below. Asked if he has heard Metallica's version of the Deep Purple track"When A Blind Man Cries", which appears on the the "Re-Machined - A Tribute To Deep Purple's Machine Head" album and what he thinks of it,Gillan said, "I know the guys in Metallica. I'm very honored that they were influenced by Deep Purple when they started and they've always been very kind to us. So I respect that, and I think it's great." "There are not many people who would argue with you when you discuss the legendary status of the British band UFO. For many years the group has been cited as being very much the inspiration to the careers of groups like Iron Maiden and Def Leppard and as you look upon their back catalog this reason comes to you very clearly. The early lineup of the group that featured Phil Mogg, Pete Way, Andy Parker and Michael Schenker is revered to this very day as being forefathers in Hard Rock music. Songs like "Lights Out", "Too Hot To Handle" and "Rock Bottom" still sound as fresh today as they did when they were first introduced. When you look at how many bands have fallen by the wayside while UFO still carries on you understand better when you listen to the quality of these particular tracks." 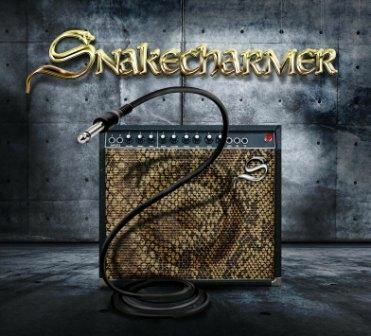 Frontiers Records announces the release of Snakecharmer’s self-titled debut album, on January 25th in Europe and January 22nd in North America. Originally founded in 2011 by former Whitesnake members Micky Moody and Neil Murray, the Snakecharmer super-group also includes Chris Ousey (Heartland), Laurie Wisefield (ex-Woshbone Ash), Adam Wakeman (Ozzy Osbourne) and Harry James (Thunder). With members gigging record breaking tours, earning double platinum selling albums and playing to crowds of 100,000. “I met up with Neil Murray a couple of years ago and we spoke about playing a few gigs together for fun and old times’ sake”, says Micky Moody. “The obvious choice was early Whitesnake material, so when Neil suggested Laurie Wisefield and Harry James I jumped at it. Chris Ousey was highly recommended and Adam had depped for Company Of Snakes some years back. We went out as Monsters Of British Rock, mostly performing the songs of early Whitesnake, Thunder, Heartlands and a Laurie Wisefield original and we caught the attention of Martin Darvill, head of QEDG Management, who suggested we record an album of original material, which we did. The result is Snakecharmer on the Frontiers label." Musically this debut album is everything you would expect from musicians with such a pedigree: a finely crafted hard rock album with blues and melodic overtones, akin to Whitesnake (1979-81 era), Bad Company and with hints of early Foreigner as well. “The songs on our debut album reflect the kind of music that the members of the band want to play, which is melodic rock with a blues influence”, adds Neil Murray. “Each of us has played many different styles of music, and our influences are varied, but Snakecharmer originally came together to play mainly early Whitesnake songs, so that is our starting point. There wasn't a deliberate plan to write songs in a particular style; each song on the album started as a basic idea by one or two band members, and if the other guys were enthusiastic about the idea, then the song would be worked up into a finished song." 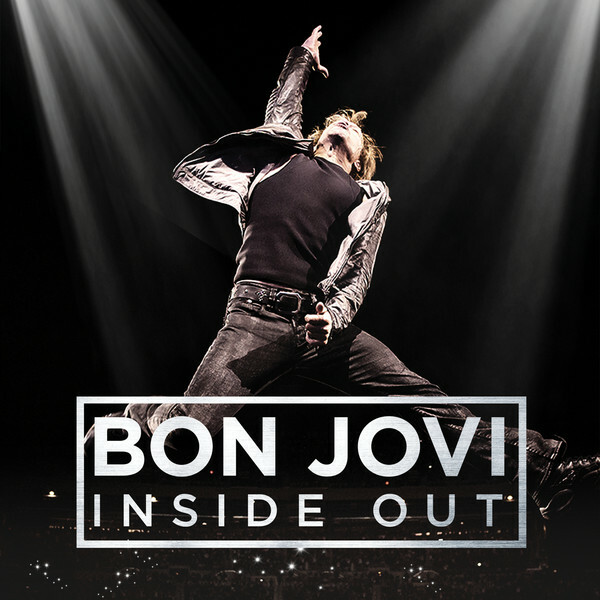 A newly announced Bon Jovi live album "Inside Out" has been released. The songs were recorded during a handful of sold-out shows at colossal venues - Madison Square Garden, London's O2 Arena, and the grand opening of New Jersey's New Meadowlands Stadium - the band tears through a set of handpicked fan favorites. The tunes encompass Bon Jovi's career but offer heavy dose of Slippery When Wet sing-alongs like "Livin' On A Prayer" and "Wanted Dead or Alive". Scott Kara of The New Zealand Herald recently conducted an interview with Ozzy Osbourne. A few excerpts from the chat follow below. Osbourne: "It's a really weird thing, because what we did, we just did. We didn't go, 'Oh, we're going to write this way, and we're going to record that way, and it's going to come out like this'. And 45 years up the road who would have thought it's still going to be current and people were going to look upon it as the foundations of heavy metal? I mean, you don't realise that sort of thing, you just do it." Osbourne: "Not everything Black Sabbath did was about the devil, or about heavy metal because 'Changes' was a beautiful song. But all they ever remember is that I sing about the devil and 'Iron Man', you know." Osbourne: "What's different now is that none of us get drunk or stoned or any of that stuff. We're all clean, and all in control of ourselves, we're not intimidated by each other, there are no arguments, and it's the way it should be. But when we were kids we had egos. When you're 21 and you get some success it takes a while to get your head around. You have an ego, you have the spoils of success, the cars, the houses, the money, the alcohol, the drugs, the groupies, and all the rest of it, and if you go through all of that and you are lucky enough to survive you get married, you get divorced, you get married again, and it's a journey. But we've done it all so what it boils down to now is the music - and that's what got us where we are in the first place. We have come through the other side, we're still able to work together, and that's where the enjoyment comes from. It's been a lot of fun making this record." Osbourne: "[The treatment] has been a bit rough on him but he still manages to come up with those great riffs. It's been more than 30 years since I really seriously worked with the guys. We had a try a few years back but nothing came of it. But for some reason the timing is right and we've done about 15 songs. Black Sabbath is very unique in the respect that nothing is formulated. It's very unpredictable. I just hope the people who have waited all these years aren't disappointed." 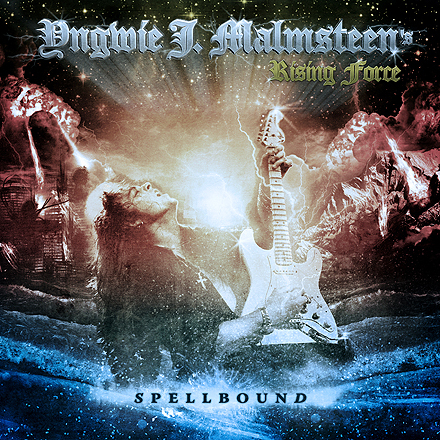 Samples from the entire new album, "Spellbound", by Yngwie Malmsteen are now online at Amazon. Check out what Yngwie sounds like as a vocalist. 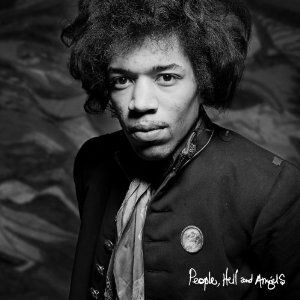 Experience Hendrix LLC and Legacy Recordings, a division of Sony Music Entertainment, has announced the release of "People, Hell & Angels", an essential new album premiering twelve previously unreleased studio recordings completed by guitarist Jimi Hendrix. 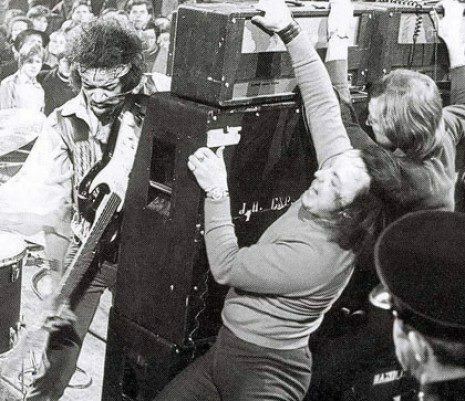 "People, Hell & Angels" showcases the legendary guitarist working outside of the original Jimi Hendrix Experience trio. Beginning in 1968, Jimi Hendrix grew restless, eager to develop new material with old friends and new ensembles. Outside the view of a massive audience that had established the Experience as rock's largest grossing concert act and simultaneously placed two of his albums in the US Top 10 sales chart, Jimi was busy working behind the scenes to craft his next musical statement. These twelve recordings encompass a variety of unique sounds and styles incorporating many of the elements - horns, keyboards, percussion and second guitar - Jimi wanted to incorporate within his new music. "People, Hell & Angels" presents some of the finest Jimi Hendrix guitar work ever issued and provides a compelling window into his growth as a songwriter, musician and producer. 'Earth Blues': Totally unlike the version first issued as part of Rainbow Bridge in 1971, this December 19, 1969 master take features just Hendrix, Billy Cox and Buddy Miles - stripped down funk at its very origin. 'Somewhere': This newly discovered gem was recorded in March 1968 and features Buddy Miles on drums and Stephen Stills on bass. Entirely different from any previous version fans have ever heard. 'Hear My Train A Comin'': This superb recording was drawn from Jimi's first ever recording session with Billy Cox and Buddy Miles--the powerhouse rhythm section with whom he would later record the groundbreaking album Band Of Gypsys. Jimi shared a deep love for the blues with Billy Cox and Buddy Miles. Both musicians understood Jimi's desire to create what he described as a 'new type of blues'. Jimi's menacing lead guitar is the centrepiece of this dramatic addition to his remarkable legacy. 'Bleeding Heart': This Elmore James masterwork had long been a favorite of Jimi's. He had performed the song earlier that year with the Experience in concert at the Royal Albert Hall and had attempted to capture the song in New York studio sessions during the weeks that followed. Recorded at the same May 1969 session as 'Hear My Train A Coming', the track conveys Jimi's firm understanding of the arrangement and tempo he desired. Before they began, Jimi instructed Cox and Miles that he wanted to establish a totally different beat than the standard arrangement. He then kicked off this amazing rendition that was nothing like any other he had ever attempted. 'Let Me Move You': In March 1969, Jimi reached back to another old friend, saxophonist Lonnie Youngblood. Before he was discovered by Chas Chandler in the summer of 1966, Jimi had contributed guitar as a nondescript studio sideman for Youngblood and such infectious rhythm and blues styled singles such as 'Soul Food'. This March 1969 session features Hendrix and Youngblood trading licks throughout this never before heard, high velocity rock and soul classic. 'Izabella': In the aftermath of the Woodstock festival, Jimi gathered his new ensemble, Gypsy Sun & Rainbows, at the Hit Factory in August 1969 with engineer Eddie Kramer. 'Izabella' had been one of the new songs the guitarist introduced at the Woodstock festival and Jimi was eager to perfect a studio version. This new version is markedly different from the Band Of Gypsys 45 rpm single master issued by Reprise Records in 1970 and features Larry Lee, Jimi's old friend from the famed rhythm & blues 'chitin' circuit', on rhythm guitar. 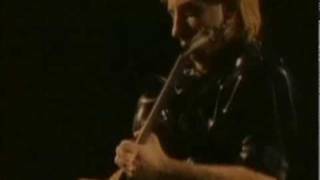 'Easy Blues': An edited extract of this gorgeous, free flowing instrumental was briefly issued as part of the long-out-of-print 1981 album Nine To The Universe. Now nearly twice as long, the track offers fans the opportunity to enjoy the dramatic interplay between Jimi, second guitarist Larry Lee, Billy Cox and drummer Mitch Mitchell. 'Crash Landing': Perhaps known as the title song for the controversial 1975 album that featured Hendrix master recordings posthumously overdubbed by session musicians, this April 1969 original recording has never been heard before. Jimi is joined here by Billy Cox and drummer Rocky Isaac of the Cherry People to record this thinly veiled warning to his girlfriend Devon Wilson. 'Inside Out': Jimi was fascinated by the rhythm pattern that would ultimately take form as "Ezy Ryder". Joined here by Mitch Mitchell, Jimi recorded all of the bass and guitar parts for this fascinating song - including a dramatic lead guitar part amplified through a Leslie organ speaker. 'Hey Gypsy Boy': The roots of Jimi's majestic 'Hey Baby (New Rising Sun)' trace themselves to this March 1969 recording. Unlike the posthumously overdubbed version briefly issued as part of Midnight Lightning in 1975, this is original recording that features Jimi joined by Buddy Miles. 'Mojo Man': Jimi would lend a hand to Albert & Arthur Allen, the vocalists known as the Ghetto Fighters, whom he had befriended in Harlem long before he achieved fame with the Experience. When the two recorded this inspired, previously unreleased master at the legendary Fame Studios in Muscle Shoals, Alabama they took it back to Hendrix at Electric Lady Studios. Jimi knew just what to do to elevate the recording beyond contemporary R & B to the new hybrid of rock, rhythm and blues he was celebrated for. 'Villanova Junction Blues': Long before his famous performance of this song at Woodstock, Jimi recorded this studio version with Billy Cox and Buddy Miles at the same May 1969 session which yielded 'Hear My Train A Comin'' and 'Bleeding Heart' also featured on this album. Never fully finished, the song stands as an example of the fertile ideas he hoped to harness and bring to fruition. 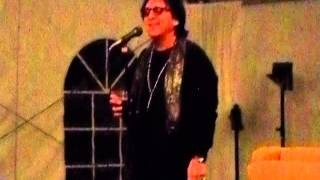 Peter Criss took part in a question-and-answer session at the the Days Of The Dead horror convention on November 17 at the Chicago-Schaumburg-Marriott in Schaumburg, Illinois. Video footage of his appearance - during which he took a question from Anthrax drummer Charlie Benante - can be seen below. An excerpt from "Makeup To Breakup: My Life In And Out Of Kiss", can be found at RollingStone.com. 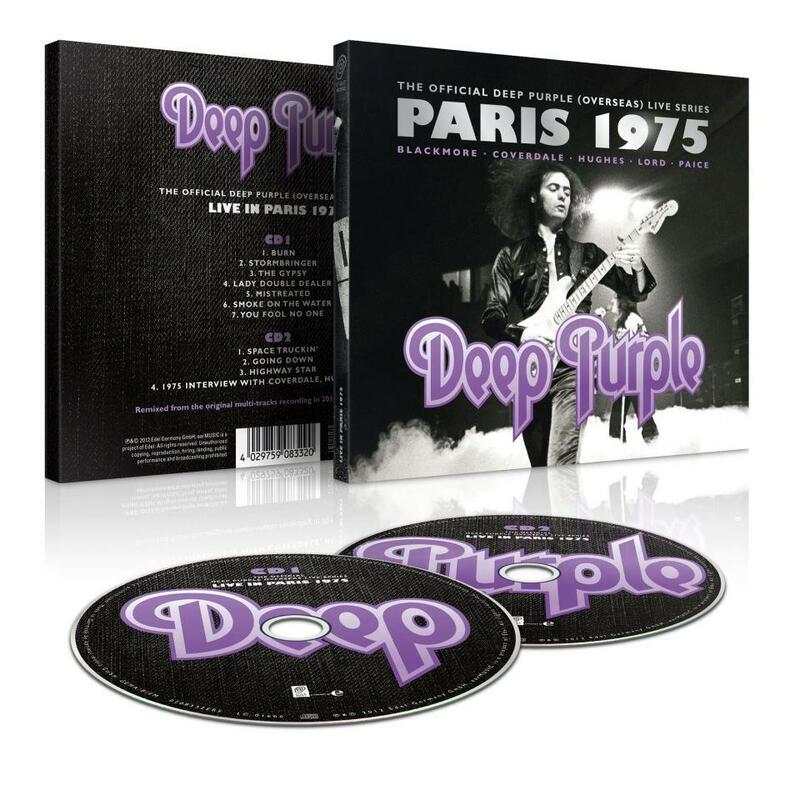 Deep Purple (Overseas) have announced that a series of concerts from the 70's, some of which have never been available before, will be released in a 10 part series over the next 2 years. 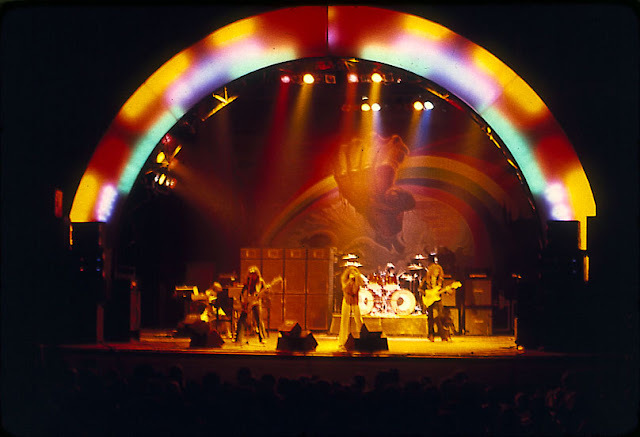 The first of which is the final Mark 3 show from Paris 1975. This performance showcases Mark 3 Deep Purple at it's peak, with the band on fire for Ritchie Blackmore's final show. Although not officially available until December 7th in Germany, and the rest of the world early January 2013, the new DP(O) release will be made available exclusively via the facebook page from November 28th. More details will be available in the next 2 weeks with additional tracks and bonus material on the cards. Stay tuned for more information! 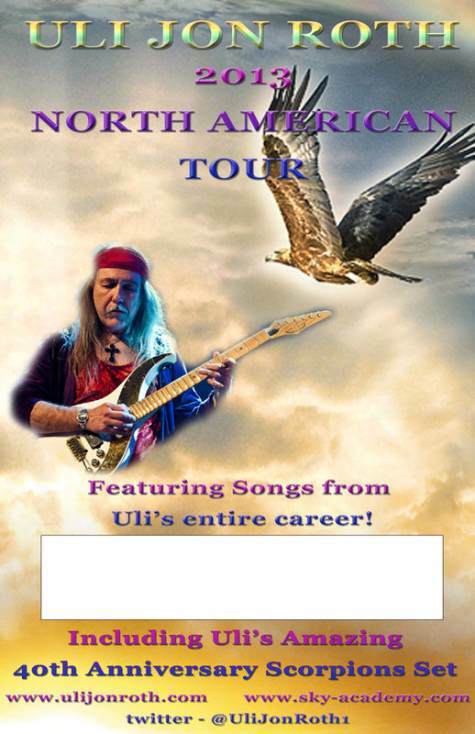 German guitar legend Uli Jon Roth will return to North America for a special tour commemorating his 40th anniversary of joining the Scorpions. Uli plans on celebrating this anniversary with a one-of-a-kind show that features an entire set of Scorpions material as well as selections from his extensive solo catalog. Every concert on the tour will be recorded for a live album documenting this amazing milestone in Uli's career. The tour is currently scheduled to kick off January 25 in Los Angeles, California and run through March 3. Says Uli: "Celebrating my 40th anniversary of joining the band, we will play a full set of Scorpions songs alongside my more recent material. We will feature several songs from each of the albums that I played on, including some, which have not been played live before. I'm really looking forward to it. Hope to see you there!" As Bon Jovi gears up for a monumental year, the all-American rock icons have announced the first set of US dates, taking them from coast to coast on their "Because We Can – The Tour". The tour will kick off in Uncasville, CT on February 9th, treating fans to one-night-only performances in US arenas nationwide, plus multiple stadium shows including a two-night stand at MetLife Stadium in the band’s home state of New Jersey. 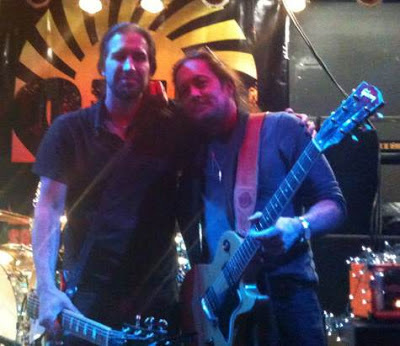 Jake E. Lee joined Something Unto Nothing (S.U.N.) on stage last night (Friday, November 16) at Vamp'd in Las Vegas, Nevada to perform the Led Zeppelin classic "Rock And Roll". Video footage of his appearance can be seen below. Lee is back after over a decade in seclusion. In great shape mentally, physically and spiritually, Jake is ready to return and bring his brand of unique playing and music to the world. In the process of recording his new album at Las Vegas' The Hideout Studios, Lee's first new release will feature a combination of legendary rock artists and some of the biggest names of new metal. Already recorded are guest appearances by Robin Zander (Cheap Trick), Paul Di'Anno (Iron Maiden), Maria Brink (In This Moment), with many other big names attached to the project. Lee's new solo album is being recorded with the help of guitarist Ronnie Mancuso of Beggars & Thieves, whose 2011 video, "We Come Undone", featured an appearance by Jake. Francis Rossi and Rick Parfitt are considering taking Status Quo’s Frantic Four lineup on a world tour. 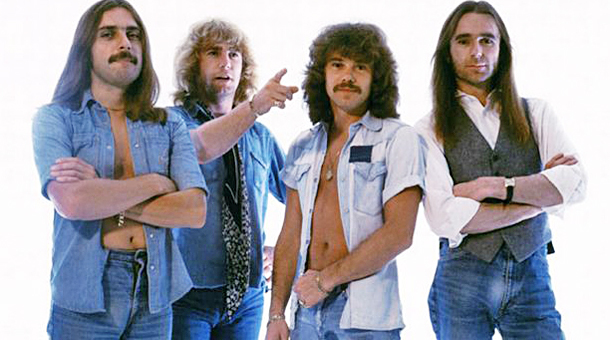 The frontmen reunited with bassist Alan Lancaster and drummer John Coghlan to make their movie "Hello Quo", which resulted in the announcement of four UK shows in 2013. With most of those all but sold out, and a pre-sale taking just ten minutes to fill up, more dates have been added to the run – and the pair admit they’ve turned their thoughts to travelling further afield. “There could be a world tour in 2013,” says Rick Parfitt. Read the full story in ClassicRockMagazine. 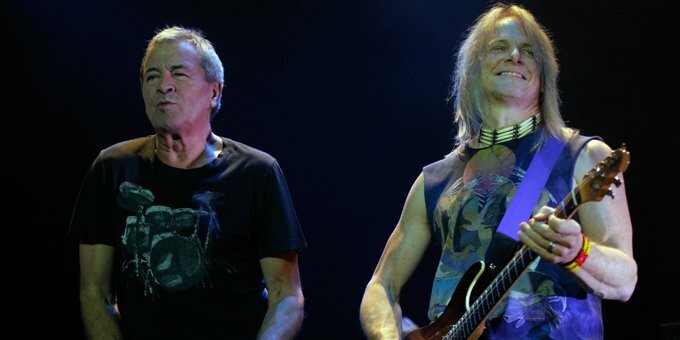 Deep Purple have appeared on French TV show "Culturebox". 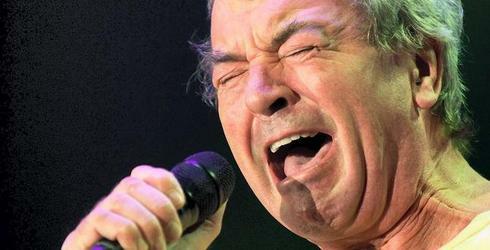 Ian Gillan was interviewed and they did a wonderfully light, airy (pun intended), jazz rendition of "Smoke on the Water" live. Thanks to the Highway Star for the news. 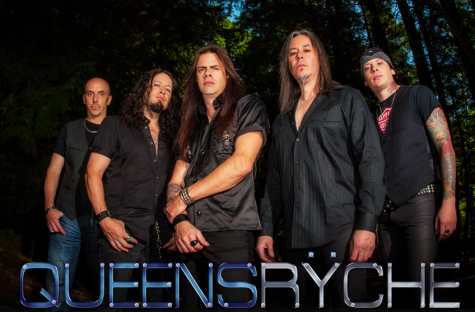 Queensrÿche have given fans a taste of how the band will sound on their forthcoming album with new frontman Todd La Torre. The band posted a new preview video on YouTube that contains demos of songs set to appear on the album, which is expected to be released next year and also reunited the band with producer James Barton, who previously worked with them on "Operation: Mindcrime". "Empire" and "Promised Land". Todd La Torre posted the following message on his Facebook page: "Thank you all for the amazing positive response to what we are doing:) The teaser audio are demos only. We start tracking in two weeks. No outside writers have been used. This IS Queensrÿche`s writing and we're proud to introduce the next chapter of the legacy. We are very proud to have James Barton on board, he is surely the right man for this, as already proven. Lastly, I'm very happy to know that finally "my" voice will be heard in it's truest form. You all are appreciated so much. Thank you from all of us \m/"
With a storming new stomp in their boots and a renewed, lithe swagger to their legendary sound, British heavy metal legends Saxon will release"Sacrifice" in February 2013 through UDR. 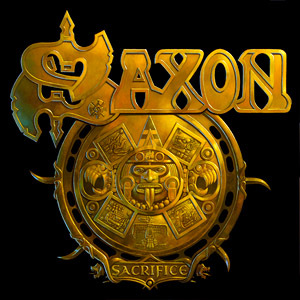 Taking a sharper, re-invigorated approach to the production, on this, their 20th album, Saxon have produced 10 of their strongest, heaviest and most inspired songs for many-a-year, and a more than worthy successor to their last album "A Call To Arms". "Less tricks, more power!" roars frontman and founding father Biff Byford. "My brief to the band was to be raw, be real and not be afraid to look back at the old classic material for inspiration." 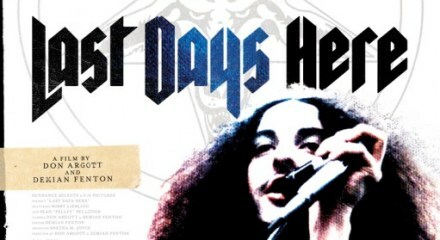 "Last Days Here" follows Bobby Liebling, lead singer of seminal heavy doomers Pentagram, as he battles decades of hard drug addiction and personal demons to try and get his life back. Last Days Here - Story of Robert Liebling from Samar Jit on Vimeo. A 21-minute video interview with Geddy Lee, conducted by Warner Music in Poland can be seen below. Rush will capture the "Clockwork Angels" tour by filming in Phoenix and Dallas on November 25 and November 28, respectively. The shows are being recorded for a DVD release in 2013. They kicked off the "Clockwork Angels" world tour on September 7 at the Verizon Wireless Arena in Manchester, New Hampshire. In addition to adding a lot of rarely played songs to their opening set, Rush is bringing a string ensemble out on tour with the band for the first time ever in its career. 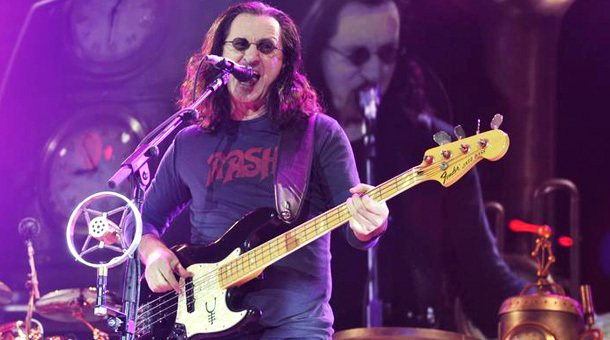 Orchestrations provided by well-known arranger David Campbell were used on several tracks from the band's new album,"Clockwork Angels", and RUSH is recreating that sound during the current tour. The North American tour will wrap on December 2 in Houston, Texas. 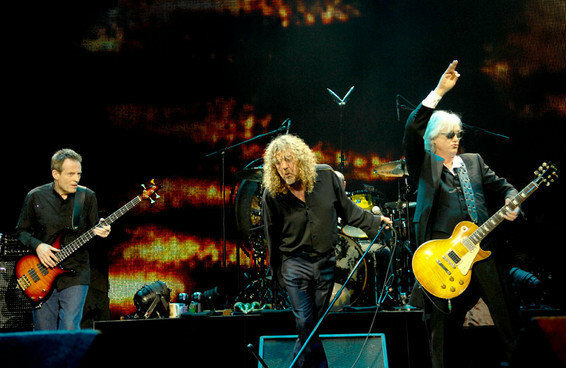 Jimmy Page says that "it looks very unlikely" the band will ever play again. During an appearance on the November 13 edition ofBBC's television show "Later... With Jools Holland", Page said (see video below): "We're almost five years after the O2 concert and I must say I thought there might be some other get together for some reason or another but, as the years ticked by, it doesn't look very likely, does it? But [at least this gig] is there." 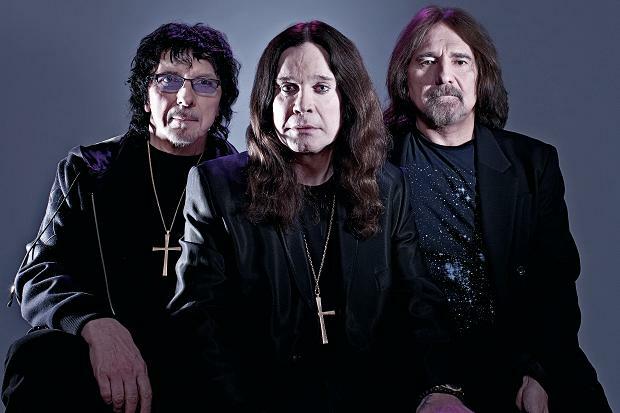 BlackSabbath have announced the upcoming release of a new LP box set. 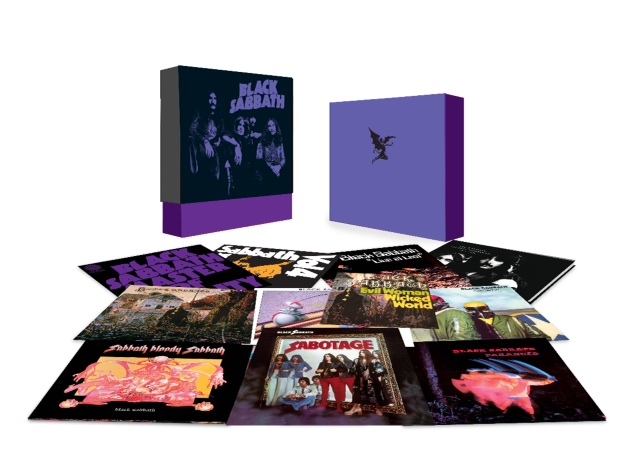 Due December 12th, “Black Sabbath - The Vinyl Collection: 1970 – 1978” is a limited edition box-set celebrating the iconic albums featuring the full original Sabbath lineup. * 9×12” LP: full reproductions of the original album releases, remastered from the band’s personal archives on 180-gram heavyweight vinyl. * 7” single: featuring the band’s debut single "Evil Woman" and non-album B-side "Wicked World". * 12” x 12” hard-backed book: containing original tour programmes from 1970, 1975, 1976 and 1978. * Remastered at a 24-bit/96kHz resolution for a listening experience closer than ever before to being in the studio at the original Black Sabbath recording sessions. * Includes an exclusive limited edition 12×12 print of the box set design. Only 50 prints available. Find out more at the official Black Sabbath site. 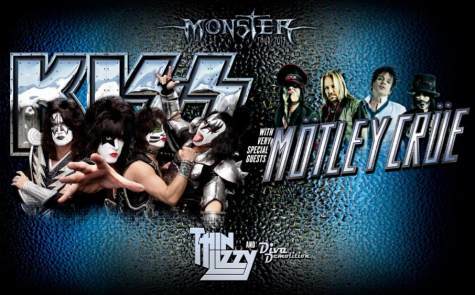 It‘s the news Australian fans have been waiting for with the spectacle of all spectacles announced today, KISS with very special guests Mötley Crüe will tour Australia in March 2013. Presented by McManus Entertainment, the summer's biggest, baddest rock tour will hit Sydney, Brisbane, Melbourne, Perth, Mackay and Adelaide with guests Irish rockers Thin Lizzy along for the ride (except Adelaide). Brisbane up-and-comers Diva Demolition have won the highly-prized local support act spot and will open all shows on the tour. "We're just trying to expand it to the next level. We do our best to build on the KISS legend and always make sure that what we do is bigger and better than last time," said Paul Stanley. Full interview here. 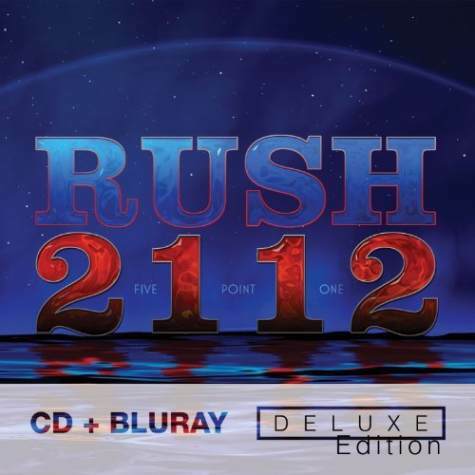 Universal Music Enterprises (UMe) will release deluxe editions of Rush’s landmark album 2112 that will feature 5.1 Surround Sound Mixes, Unreleased Live Tracks and the First Ever Rush Comic Book, available globally starting December 18, 2012. There will be 3 configurations of 2112: Deluxe Editions (CD/DVD and CD/Blu-Ray) and a special Super Deluxe Edition (CD/Blu-Ray/Hardbound book case). The deluxe editions contain a CD/DVD or CD/Blu-Ray material including the remastered 2112 CD with 3 live bonus tracks and a DVD or Blu-ray™ disc with a 5.1 surround sound audio mix and an interactive digital comic book, a new album cover by original album designer Hugh Syme, liner notes and unpublished photos. The super deluxe contains the CD/Blu-Ray and is meticulously assembled in a hardbound bookcase packed with a 40-page comic book representing every song on 2112. Housed in a hardbound book with a 40 page comic book by story artist Tom Hodges (Star Wars “The Clone Wars,” The Simpson’s “Treehouse of Horrors #17″) and a 24 page book with expanded artwork, liner notes, lyrics and unreleased photos. New liner notes written by David Fricke, Rolling Stone. Expanded artwork, liner notes, lyrics and unreleased photos by original album designer Hugh Syme. Brand new liner notes by David Fricke, Rolling Stone. - Digital Comic Book – experience the comic book formatted for widescreen televisions during playback of the album. Originally released in 1976, Rush’s epic, landmark release 2112 was their creative and commercial breakthrough as well as one of the band’s most highly regarded releases among both fans and critics alike. 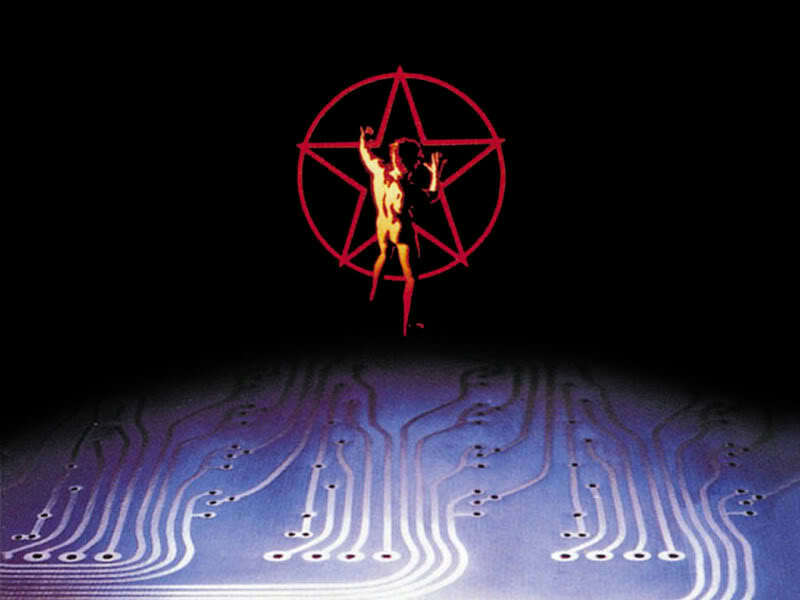 With lyrics written by Neil Peart, and influenced by author Ayn Rand, 2112 kicks off with the ambitious seven-suite title track (side one), set in a futuristic world run by the “Priests of the Temples of Syrinx” who regulate “every single facet of every life,” which includes books, music, work and play. “2112” conveys the story of humanity’s instinctual, inner need for one’s free will. After the mythological journey through “2112,” side two brings you back to the present and continues with five stand-alone tracks. From hard-rocking tracks such as “A Passage to Bangkok,” “Lessons,” and a trip to into the fourth dimension with “The Twilight Zone,” to the album’s soaring conclusion, “Something For Nothing,” 2112 is the album that ushered in the next stage in their continuing evolution as artists.